I'm continuing to add in new products regularly, so here are some new pendants, and cufflinks. 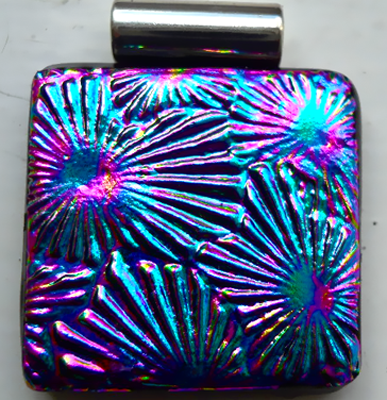 All the jewellery items come in Black, Purple or Silver card gift boxes. 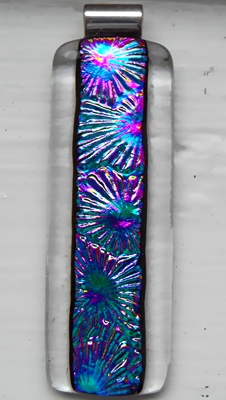 A long narrow Gold/Lime Green/Black patterned Dichroic glass. 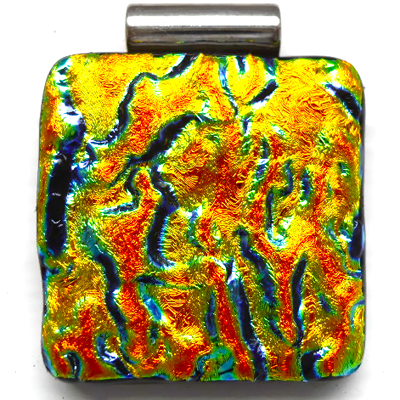 Very striking Orange/Gold/Black heavily textured Dichroic glass pendant. 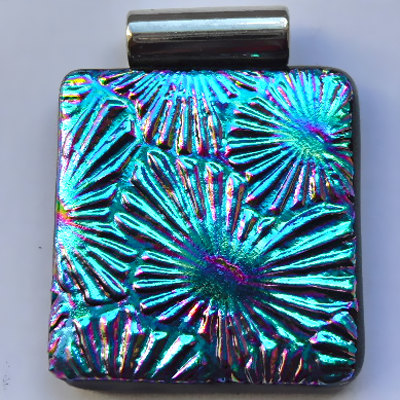 Very striking textured Dichroic glass pendant, which shifts in colour from Teal to Magenta with Gold accents.